Touch screen devices are one of the most germ-ridden items that you may come into contact with on a daily basis. Every year an average of 600 people within the UK die due to complications related to the flu virus and last year researchers identified that the flu vaccine was only 20% – 30% effective and that we may face the same issue this year. NHS chief Simon Stevens has warned hospitals to prepare for a major flu outbreak this winter. 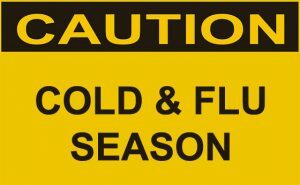 We should take every possible measure to protect ourselves, the NHS advises all people to have the flu vaccine, especially those who are more vulnerable as any level of protection that it can provide will be better than no protection at all. 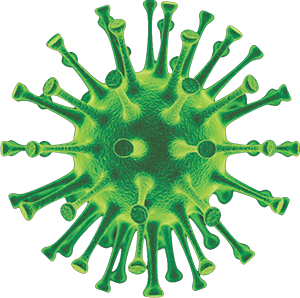 In the home and in the working environment surfaces and devices should be kept germ free where possible to help to prevent the spread of infection. The Clear diamond Anti-bacterial screen protectors offer a protective layer to your touch screen device and can be produced to fit most models available on the market, we also offer a custom size service if required. The proprietary hard-coating of the Clear Diamond Anti-bacterial film has been proven to kill 99.9% of bacteria and pathogens, the hard coat incorporates pure metal Nano-technology which prevents germs from colonising on the surface of the device, these films are ideal for use in the medical and care sector as well as any other high usage areas or simply for personal use. Touch screens devices used in high usage areas such as doctors surgeries, care homes, hospitals and factories can contain up to 25’000 germs per square inch, users are more likely to use a touch screen device and not feel inclined to sanitise or wash their hands afterwards as few people realise the risk of contamination from these devices is of a higher level than that from the average public toilet. If you would like to receive further information about the Clear Diamond protection film range, please contact: sales@clear-diamond.com.